In the United Kingdom, city status is conferred upon places by letters patent or royal charter. It's kind of a quirky system, where some cities are actually neighborhoods that don't contain the entire city in the traditional sense (like the City of London or the City of Westminster), while other cities are actually made up of quite a few towns and villages (like Canterbury). The whole city thing was quite informal until fairly recently, though. For a long time, the presence of a cathedral made a settlement into a city. Over the last couple hundred years, a set of irregular rules and conventions have been applied to areas throughout the UK, resulting in a total of 7 Scottish cities (we'll discuss other parts of the UK in future posts). If you ask someone to name cities in Scotland, it's fairly likely they'll guess Edinburgh and Glasgow. Those two are obvious. Some people may even think of Inverness and Stirling. After all, Stirling is quite the tourist hotspot (though it doesn't feel at all like what would normally be termed a “city” in other parts of the world. Beyond those four, you can add Aberdeen, Dundee, and Perth to the list of officially designated cities in Scotland. Below, we'll take a look at each of them. 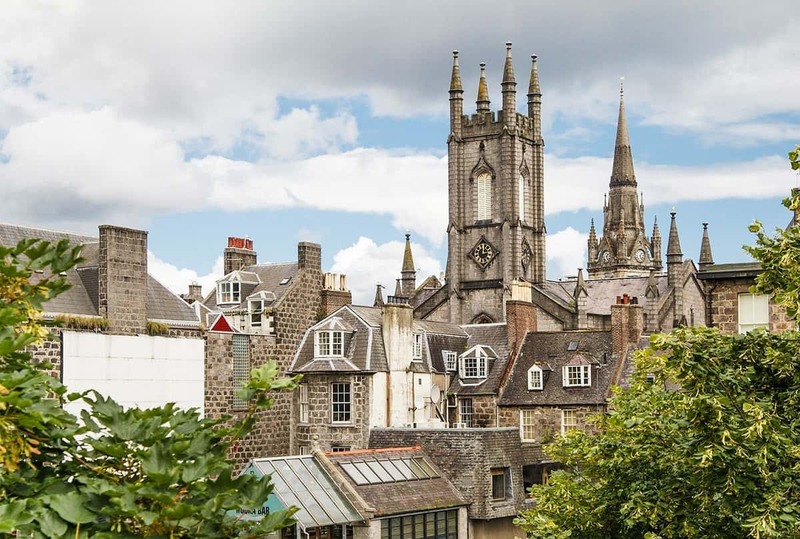 Aberdeen is a city that's frequently overlooked, and without good reason. It's a bustling city of nearly 200,000 people (230k in the local council area), and it's been recognized as one of the 8 “super cities” driving the UK's economy. One study named it the 4th most livable city in Britain. It has a cool but relatively mild marine climate with average December-January lows right around the freezing point, and summer highs averaging in the high 50s and low 60s. Like most of the UK, it's incredibly wet, and its northern location gives it exceptionally long days in summer and long nights in winter. Fun fact: Many of the buildings in Aberdeen were made with local granite, and they sparkle in the sunlight due to high mica content. In terms of the city's vibe, Aberdeen is tough. The city can be grey and quite grim, with a latitude that's actually further north than Moscow. It's a place of miners, fishermen, shipyard workers, and more recently, oil workers. Aberdeen has a certain distinctly Scottish toughness, though, and that can be endearing. Thanks to the area's wealth of oil, Aberdeen has actually become quite prosperous in recent decades. A recent edition of the Rough Guide to Scotland described the city as snooty and soulless, with a feel of corporate sterility. Another edition called it “grim, cold, and unwelcoming”. At one point, it was named “Most Dismal Town in Scotland”. I'm not exactly sure where they got “snooty”, but I can see where they're coming from on grim and cold. While lovely on a long, sunny summer day, it can indeed be quite dreary most of the year. If you're going to visit Aberdeen, you'll probably want to do it in the summer when the days are long and nights are short. Though it never gets terribly warm, the weather is very comfortable in summer, and there's plenty to do with those exceedingly long daylight hours. Dunnottar Castle – This large ninth-century fortress is set on a three-sided cliff jutting into the sea. 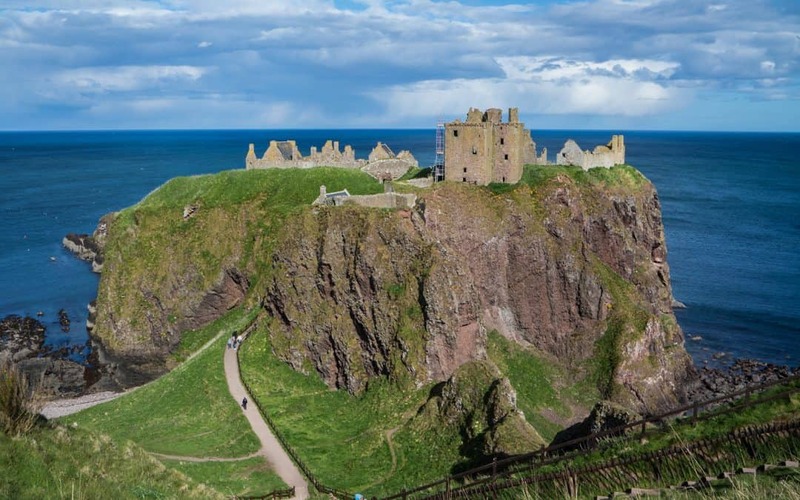 Dunnottar Castle was once captured by William Wallace and it's been visited by Mary, Queen of Scots. While not technically IN Aberdeen, it's around 20 miles away and it's an easy trip over to Stonehaven to visit it. Dolphin and seal spotting – The harbour mouth in Aberdeen is a great place to spot dolphins, seals, and even whales sometimes. Check their page in advance to find out about staff members who are frequently on site to help with spotting. Teasel & Tweed – This uniquely Scottish gift shop manages to cater to both locals and tourists, offering quality, local-made souvenirs and hosting crafting events locals can appreciate. If you're in Aberdeen, it's not to be missed! Slain's Castle Pub – While the real Slain's Castle lies outside the city of Aberdeen, the Slain's Castle in Aberdeen is an old church turned Dracula-themed pub. Books & Beans – If you love independent bookshops and secondhand books, this is the place to stop in for a warm drink and good read. Footdee – This small fishing village offers a glimpse into Aberdeen's past. Aberdeen Maritime Museum – It's hard to ignore the impact of the sea on life in Aberdeen. This museum does a wonderful job of showcasing its influence, both past and present. Aberdeen is roughly 120 miles north of Edinburgh, and it's accessible by both air and rail. By rail, it takes around 2h 40m to get there from Edinburgh. Dundee is a city of roughly 150,000 people, situated a bit north of Edinburgh along the eastern coast of Scotland. While it's not winning any popularity contests with Brits or tourists, it *is* a city making a comeback. In 2015, GQ Magazine called it the “Coolest Little City In Britain”, and we can see why. In Dundee, past mixes with present in a way that's vibrant and exciting. Though the city's population has declined substantially over the past few decades, you can feel the stirrings of a city coming back to life. Dundee is home to 4J Studios, the Scottish games company that brought Minecraft to consoles and handheld platforms. Grand Theft Auto and Lemmings were originally created here. It's also the first city in the world to have a university offering a degree in video games engineering. Not Silicon Valley, not Los Angeles – Dundee. Crazy, right? 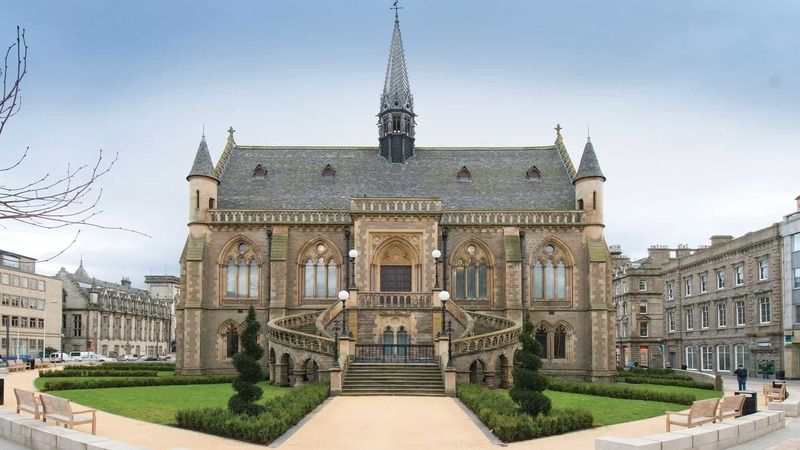 Dundee also has culture – gardens, galleries, and pubs a plenty. That's not to say there's no blight, or that it can't be a grim place at times, but it's changing. If you're tired of overrun tourist spots and you'd like to see a bit of the Scotland most tourists don't see, Dundee is worth a visit. Verdant Works – Dundee has a rich history of textile production, and Verdant Works celebrates that history. Even if the museum were empty, it would still be worth a visit just to look around and take in the architecture. 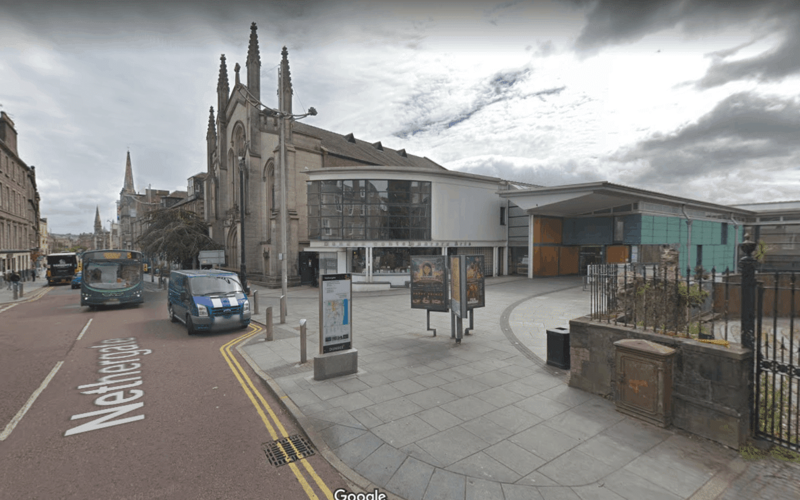 Dundee Contemporary Arts Museum – This new contemporary arts museum stands in stark contrast to some of the older buildings around it, and brings both culture and a cosmopolitan feel to this small Scottish city. Broughty Castle Museum – In addition to being a lovely old castle with great views of the River Tay, Broughty Castle Museum also contains The Orchar Gallery, a collection of Victorian Scottish paintings. Draffens – Draffens is a secret speakeasy located in an alleyway just off Nethergate. If you enjoy a good cocktail and a vintage atmosphere, it's worth hunting this place down. Mills Observatory – Mills Observatory was gifted to the city back in the 1930s, and it's the UK's only full-time public Observatory. They have a Victorian retracting telescope, along with a planetarium and numerous exhibits on the solar system. Discovery Point – At Discovery Point, you can visit the RRS Discovery, the ship that took Scott & Shackleton on the first trip to Antarctica. McManus Museum – Aside from being a wonderful art museum housed in a beautiful building, the McManus Museum is also home to WWII hero Winkie the Pigeon. Winkie was in a bomber that was shot down in the North Sea, but she was released from her cage and she flew to to Broughty Ferry, where she was able to raise the alarm and save the crew. You can view more about Winkie here, including a photo of her with the men she saved. Dundee is within 90 minutes' drive of 90% of Scotland's population, and it's well-connected by rail. It takes about 6.5 hours from London, a little over an hour from Edinburgh, and roughly an hour and a half from Glasgow. The city does have an airport, but it only flies to London Stansted. You may find it easier to fly in elsewhere and take the train over to Dundee. Edinburgh is truly a stunning city. If you've only visited one place in Scotland, you've probably visited Edinburgh – and for good reason. As cities go, it's one of the most stunning in the world, what with the giant, imposing castle looming over everything. For a tourist, it has everything – history, culture, tacky souvenir shops, quality souvenir shops, ghost tours, museums, literary street cred (Robert Louis Stevenson, Sir Arthur Conan Doyle, JK Rowling, among others), and great food. It's dramatic, elegant, historic, creepy, and endlessly fascinating. The only major downside to Edinburgh is that it's incredibly popular with tourists, and it seems to get more crowded with every passing year. It's a small city, particularly if you're only talking about the main tourist areas – so it doesn't take a huge increase to make things feel noticeably more crowded (and expensive, when it comes to lodging). Sadly, the increase in tourism has also led to a gradual hollowing out of the city's core as real estate investors buy up properties and turn them into AirBNBs, making it harder and harder for locals to afford to live there (AirBNBs aren't as efficient at “storing” tourists as hotels, and the decreased housing supply drives up the price for what's left). With the popularity of Outlander and a new UK-China tourist visa program, Scotland in general has seen more tourists – but popular spots like Edinburgh and Isle of Skye seem to bear the brunt of the crowding issues. Why do I mention this? Two reasons. First, I know many of us would prefer to travel when things aren't as crowded. If you want to avoid the worst crowds, you'll need to steer clear of Edinburgh in August (festival season) and December (Christmas market). June and July are no picnic, but they're noticeably less crowded than August/December. In my opinion, though, the best months are those of the shoulder season. To get a good balance of weather and crowds, look to April-May or September-October. The other reason is that I just want to encourage people to be responsible tourists. If you really love Scotland, take a few moments to think about the impact of your visit and how you can minimize or offset it. Use your dollars to help create and maintain the kind of Scotland you want to see people enjoying for centuries to come. Edinburgh Castle – Edinburgh Castle is so big, dominant, and hard to miss that it seems like it almost goes without saying. You can't really visit the city without seeing it. 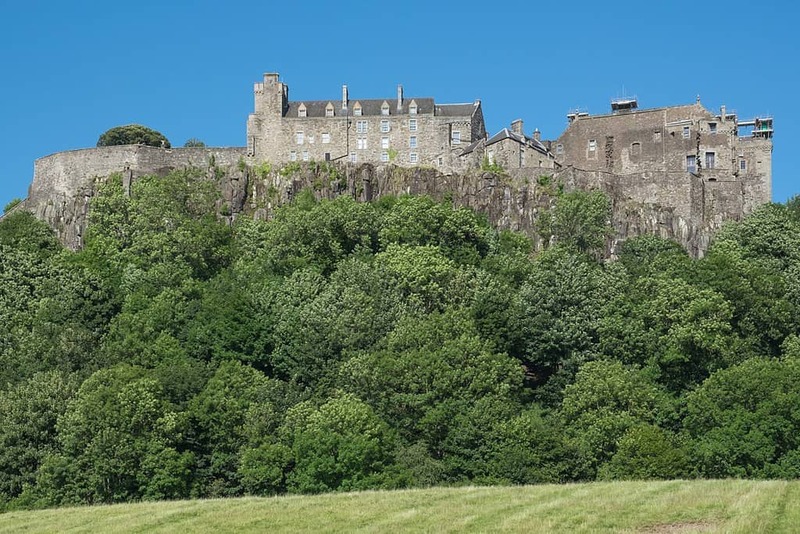 To really appreciate both the castle and the city, however, you'll need to pony up the admission fee and trek up to the top of Castle Rock (formed when a volcano erupted millions of years ago). There's no better view of the city, and if you can arrange to be there at 1pm, you'll see them fire a cannon out over the city. The tradition dates back to 1861 when it was fired to help nearby ships set their clocks. The Royal Mile – It's hard to get to Edinburgh Castle without a walk along the Royal Mile. I suppose you COULD skip over a good portion of it, depending on how you approach the castle – but why? Sure, it's a bit of Scottish kitsch (and way too many junky Made in China souvenirs), but when you've got bagpipes in the background, a spot of decent weather, and a relatively low number of tourists, it's a lovely walk. If you're a first-time visitor to Edinburgh, leave time to stroll and browse. Arthur's Seat – Arthur's Seat is the main peak in a group of hills in Edinburgh, and with a height of 822 feet, it offers some pretty commanding views of the local scenery. `In the battle of best views in Edinburgh, Arthur's Seat is probably the only place that might give Edinburgh Castle a run for its money. Of course, it takes a bit more work to get to the top of Arthur's Seat, and there are no shops or pubs to rest in on your way up. National Museum of Scotland – Aside from the fact that the building itself is quite beautiful, the National Museum of Scotland is a great way to learn more about Scotland and its history – things that go beyond the basic tourist facts you get at the castle or on local tours. Like most UK museums, admission is free (but donations are always welcome). 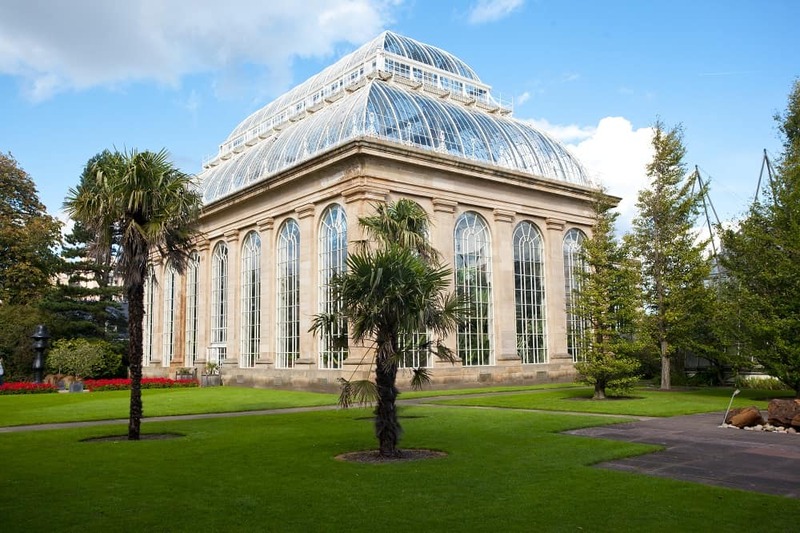 Royal Botanic Garden Edinburgh – Founded in 1670, the Royal Botanic Garden Edinburgh is one of the world's oldest and loveliest botanic gardens. It covers a total of roughly 70 acres, and while it's a standout tourist attraction, it's also a center for botanical research. It's perhaps best known for the Victorian Tropical Palm House, built back in 1834. Princes Street Gardens – I can't recommend this quite as strongly as I once did, because in late 2018, a ton of trees were removed from the Princes Street Gardens and it's left the area looking quite stark and unattractive. There are still beautiful things to be seen there, and lots of great shopping across the road – but the loss of the trees is a real shame. They'll eventually be replanted, but it's quite an eyesore at present (early 2019). The Real Mary King's Close – If you wander around Old Town Edinburgh for long, you'll quickly notice a variety of odd little passages between the buildings. They're called closes, and The Real Mary King's Close is unique in that the close itself is a tourist attraction. It was partially demolished and then built over when the Royal Exchange was built in the 1700s, and it remained closed for many years. It has a reputation for hauntings, but some say that could be the result of polluted biogas leaking up into the close from a nearby polluted marsh, Nor Loch. It's believed the gas may have caused eerie lights and even hallucinations. No worries, though – Nor Loch no longer exists. It's now Princes Street Gardens. Scottish National Gallery – Not far from Princes Street, you'll find the Scottish National Gallery. It's the national art gallery for Scotland, and it contains works from some of the world's most famous painters: Cézanne, Titian, Botticelli, van Gogh, Monet, Raphael, Rembrandt, Gauguin, Gainsborough, Degas, van Dyck, El Greco, Seurat, and Vermeer, among others. St. Giles Cathedral – Visible on both the Edinburgh skyline and Royal Mile, this stunning church is the principal place of worship for the Church of Scotland in Edinburgh. It dates back to the late 14th century, and it's dedicated to the patron saint of Edinburgh, cripples, and lepers. It's well worth a visit, even for those who aren't religious. The architecture is gorgeous, and there's even a bit of humour built in – like the angel playing the bagpipes in Thistle Chapel. 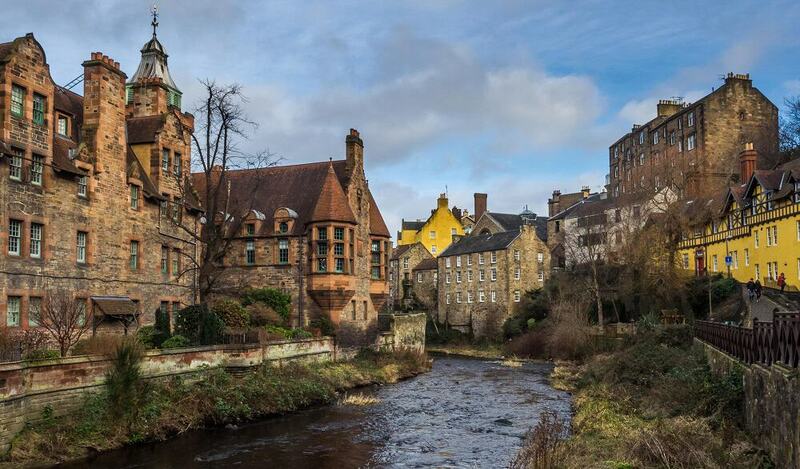 Dean Village – Once a small village away from the main city, Dean Village is now a charming oasis in the middle of an otherwise urban area. Now an expensive and much sought-after residential area, the rest of us can still enjoy it as tourists. Greyfriars Bobby & Kirkyard – Greyfriars Bobby is a Skye Terrier known for guarding the grave of his owner for 14 years during the late 1800s. When he passed away, he was buried just inside the gate of the kirkyard, not far from the human he loved. Many years later, a wealthy philanthropist had a Bobby statue erected opposite the gate, and people come to see it from all around the world. Unfortunately, someone decided to make up a “tradition” of rubbing poor Bobby's nose for good luck, and tourists have been damaging the statue in recent years (learn more here). 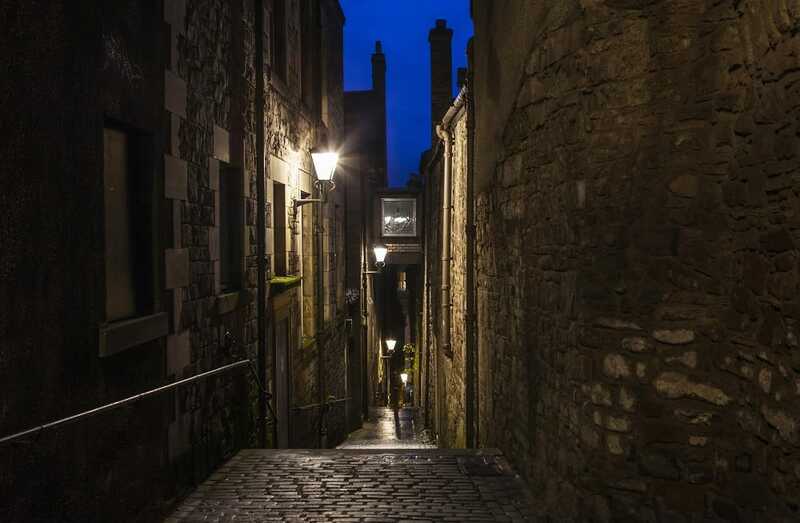 Writer's Museum – As you're walking down the Royal Mile, keep an eye out for Lady Stair's Close. Going down the path leads you directly to the Writer's Museum, where you can learn more about the immensely creative authors who came out of Edinburgh. Entry is free, and special exhibits rotate regularly. Wander – Edinburgh is one of the safest world-class cities you'll ever visit, so while I still recommend exercising caution (especially at night), it's a remarkably safe place just to let yourself wander. It's especially enjoyable near the Royal Mile, where the blocks are dotted with mysterious narrow closes (small pedestrian passages) leading to all manner of interesting things. You can fly directly into Edinburgh, but depending on where you're coming from, you may find it easier/cheaper/more fun to take the train up from London (perhaps with a stop in York). You could do a bus, I suppose, but the train is wonderful so I wouldn't recommend it. If you'll be driving up into the Highlands, I'd advise against getting your car before you leave the city unless you're staying in the outskirts or a nearby town. A car would be an unnecessary nuisance in the city center. 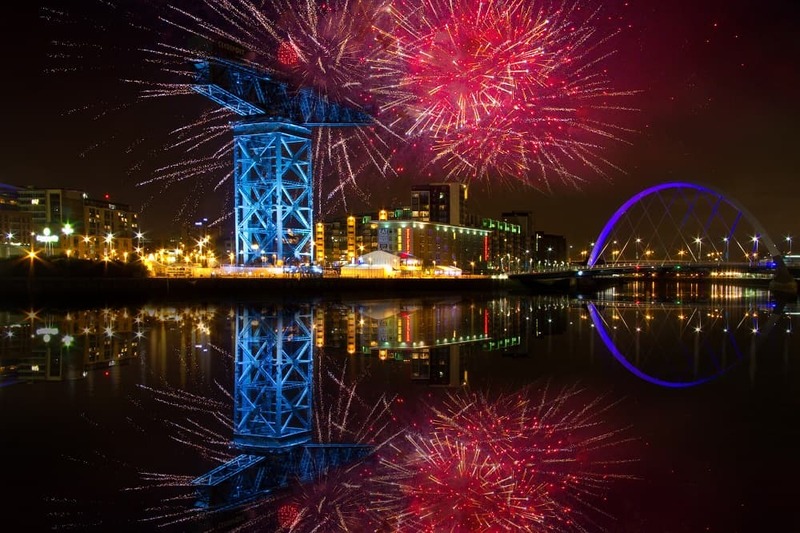 Glasgow is the largest city in Scotland, and it's often regarded as Edinburgh's rougher, grittier sibling. The city of Glasgow has roughly 600,000 residents, with nearly 2 million in the wider metro area. Over the years, it's had quite a lot of problems with crime (compared to other UK/European cities), but improvements have been made. In either case, it's significantly safer than many US cities, so I certainly wouldn't advise against visiting. So basically, just remember to exercise common sense. For all the talk of danger, Glasgow is much safer than a great many places that don't necessarily have the same “bad” reputation. While we'd probably still recommend Edinburgh over Glasgow for someone on a very tight schedule, Glasgow is still a very worthy destination. While Edinburgh is awash in tourists, Glasgow gets just a fraction of the visitors. 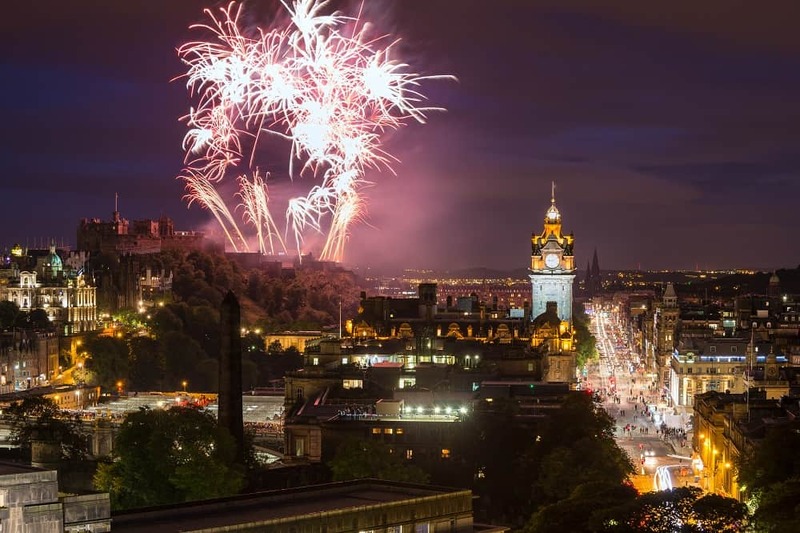 In 2017, Edinburgh saw 2,015,000 foreign visitors compared to Glasgow's 787,000. If you want to see how Scottish people live and work, rather than just bumping around in a crowd of tourists, Glasgow is the place to be. Kelvingrove Art Gallery – This popular free museum is both architecturally-stunning and packed with interesting art, natural history, and armour-related items. There aren't too many places where you can see floating heads, harpies, a Van Gogh painting, and a preserved Spitfire all in one place. 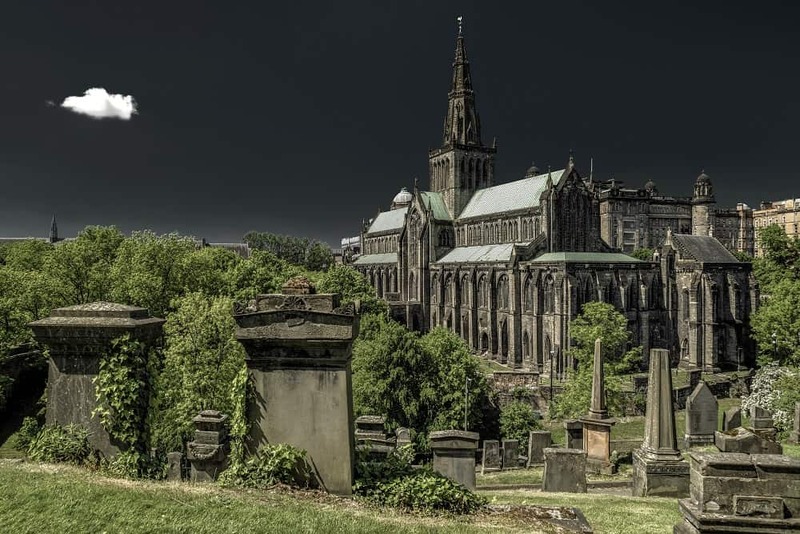 Glasgow Necropolis – This 37-acre cemetery holds more than 50,000 of Glasgow's departed, making it an eerie, atmospheric city of the dead. It's absolutely worth a stroll – but whether you go during the day or at night will depend on how adventurous you are. The Willow Tea Rooms on Sauchiehall Street – After the incredibly sad second fire at the Glasgow School of Art, The Willow Tea Rooms offer one of the best standing examples of the great Charles Rennie Mackintosh's work. Many have compared Mackintosh to America's Frank Lloyd Wright, and it's not hard to see why. Their designs do have quite a few similarities, but Mackintosh didn't go the distance. Many of his most ambitious designs were never built, and he turned to watercolours in his later years. He died of head and neck cancer at the age of 60. Glasgow Cathedral – Glasgow Cathedral dates back to 1197, and it's a wonderful example of gothic architecture. It's also quite close to the Nectropolis, so it's easy to see them both together. 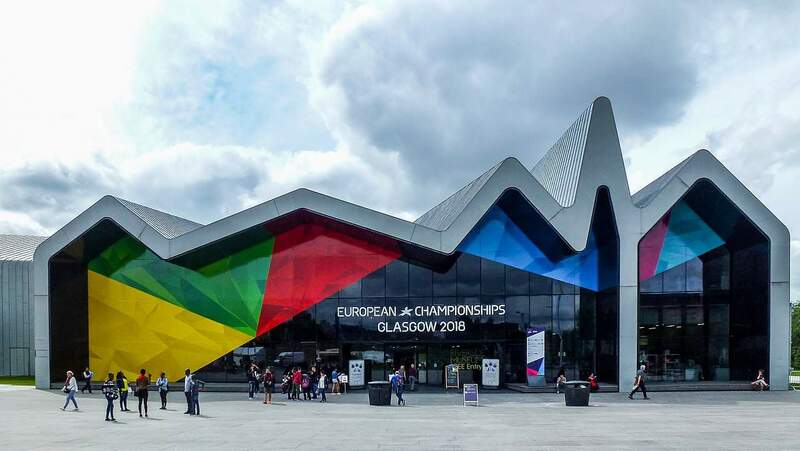 Riverside Museum – If you're fascinated by transport, the Riverside Museum is sure to please with its wide variety of planes, trains, ships, and automobiles. It's the fifth-most visited attraction in Scotland, and in 2013, it was announced as the European Museum of the Year. 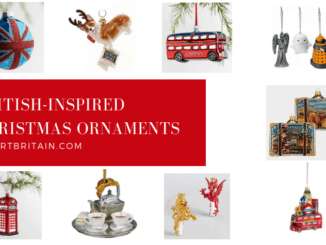 Browse Buchanan Street – Though I'd hardly call myself a big shopper, I do enjoy browsing the shopping districts in different cities around the world. When you're talking about Glasgow, Buchanan Street is the place to be. In addition to a number of freestanding shops like Zara and Frasers, you can also escape any unpleasant weather by popping into Princes Square, a luxurious indoor shopping centre with retailers like Scottish Jewelry artist Sheila Fleet, Vivienne Westwood, or Kimble's (a chocolatier specializing in Belgian chocolates and Scottish tablet). Clydeside Distillery – While Scotland is stuffed to the gills with distilleries and whisky tasting rooms, the experience at Clydeside Distillery is particularly impressive. Between the dockside location and gorgeous old pumphouse facility, this is a place practically built for your Instagram feed. And if that's not enough to pique your interest, know this – they offer a chocolate and whisky tour. Glasgow is a large, well-connected city. You can fly in directly from cities all over the world, and it's an easy trip by rail from most parts of the UK. From Edinburgh, you can expect a train ride of 45 minutes to an hour. Inverness is another Scottish city that wouldn't necessarily register as a “city” to people more accustomed to places like New York, Chicago, Paris, and so on. It's a small but lovely city in the middle of the Scottish Highlands, and that makes it a great base for exploring the area. When you hear people talk about “what to do in Inverness”, though, it's often a list of things 20-30 minutes away from Inverness. While we'll mention some of those things here, it's also worth spending some time IN the city. 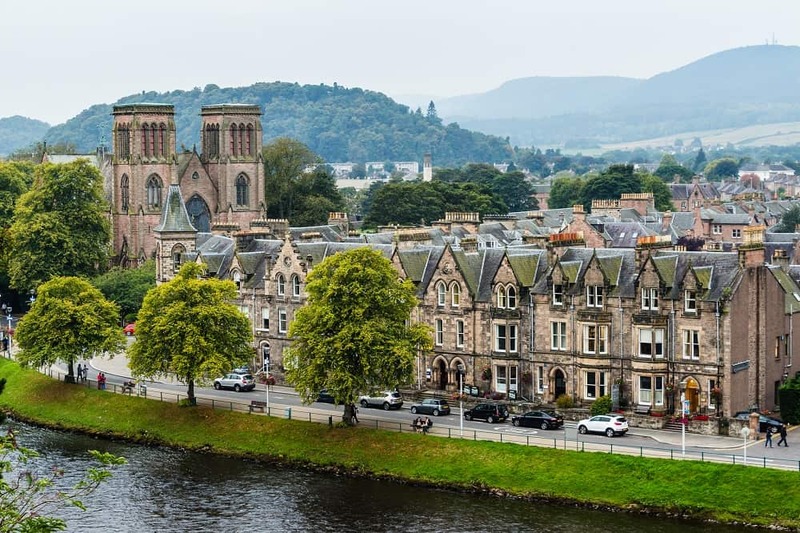 The city and surrounding communities are home to roughly 70,000 people, and a number of surveys and websites have named Inverness the “happiest city in Scotland”. Leakey's Bookshop – Leakey's Bookshop is the kind of place book lovers dream about. It's pleasantly cluttered and filled to the brim with books of all types. The open atrium, the cluttered stacks, the circular staircase…it's the perfect rainy day activity in this lovely Highlands city. 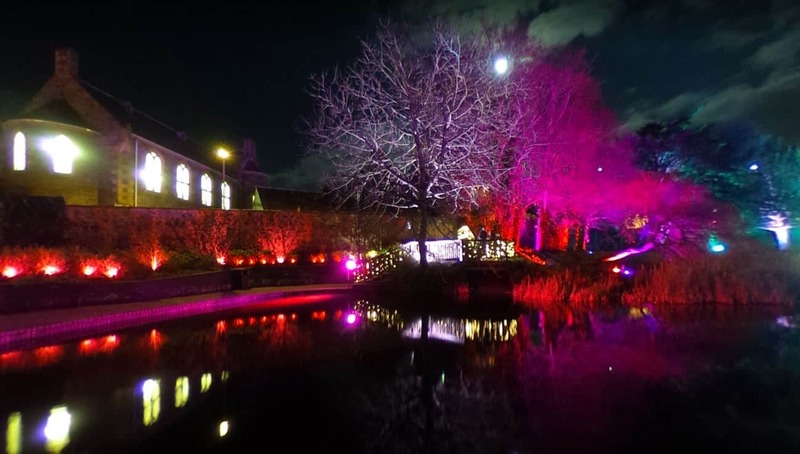 Inverness Botanic Gardens – An easy walk from the city centre, Inverness Botanic Gardens offers a quiet oasis in the middle of everything. It's neither the largest nor grandest of botanic gardens, but it's perfectly lovely and worth a visit. The Scottish Kiltmaker Visitor Centre – If you've ever wanted to know more about the history of the kilt, this is the place to do it. For a couple pounds, you can also take a tour. Battlefield at Culloden – Not far from the city of Inverness, you can visit the battlegrounds of Culloden. The Battle of Culloden was the final confrontation of the Jacobite uprising of 1745, and it's History 101 for Scots. Aside from the visitor centre, the land has been largely preserved as it might have been in 1746 – aside from that fact that it's no longer used as common grazing land so there's a bit more vegetation about. 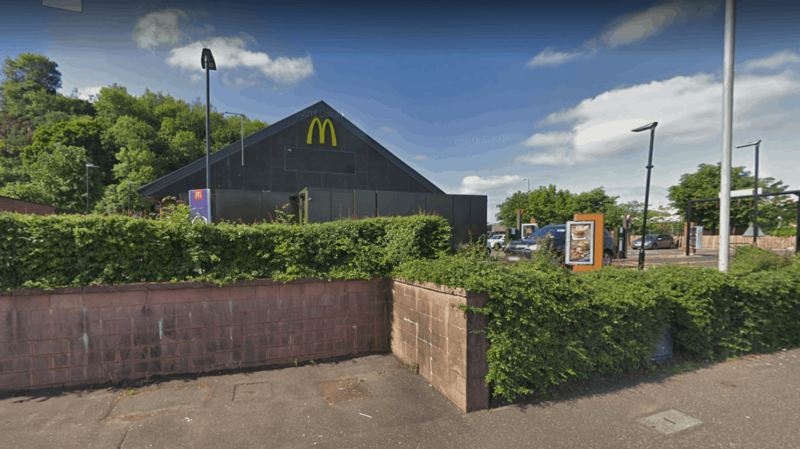 Highland Archive Centre – If you're a white American, Canadian, or Australian, it's not terribly unlikely that at least some little branch of your family lived in Scotland at some point in time. While born-Scots occasionally like to poke fun at people who come to Scotland to investigate their ancestry, pay them no mind. The staff at the Highland Archive Centre are dedicated historians who've dedicated their careers to helping people appreciate the history of Scotland, and they'll surely be glad to help you in your search, too. 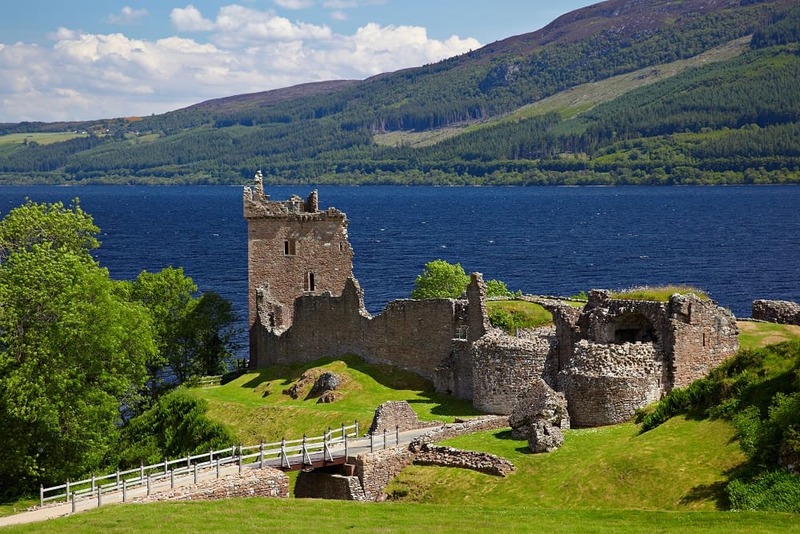 Loch Ness – Just half an hour or so south of Inverness lies the small town of Drumnadrochit, home to the Loch Ness Centre, the Loch Ness Clansman Hotel, and a variety of Nessie tour companies. If you're driving, you can easily make your way down to the area by car – but you can also find guided tours that leave directly from Inverness. Urquhart Castle – Along the shores of Loch Ness, not far from the Loch Ness Centre, you'll find the ruins of Urquhart Castle. With a little imagination, you shouldn't have any trouble picturing what it was like in its glory days – or what it might have been like to live, work, or do battle along the cold, windy shore. Inverness is accessible by air and rail, with direct flights to a number of European cities including Amsterdam, Dublin, Kirkwall, Zurich, London, and Bergen. By rail, it's roughly 3.5-4 hours from either Glasgow or Edinburgh, depending on the departure you select. Perth is a city of roughly 47,000 in central Scotland, often referred to as the “Gateway to the Highlands”. Both the Australian Perth and Canadian Perth are named for this Scottish city. Perth is a frequently-overlooked but absolutely delightful, even elegant small city. It's one of the mildest places in Scotland, with summer months averaging in the high-60s and winter months in the low to mid-30s. The one thing that might be surprising to many Perth visitors is the damage done to their high street in recent years. While many of the cities on this list have thriving tourist and shopping districts, Perth's high street features more than a few vacant and neglected properties. It's hardly the level of blight you'd see in old rust belt cities in the US, but it's perhaps not the place I'd recommend for a shopping weekend. Still, there are some fun shops and great restaurants, along with two great pedestrian thoroughfares. Where Perth really shines, though, is in the following departments: history, nature, and architecture. You'll find a number of attractions of historic and architectural importance in and around the city, and rather than a city that fades away into nature at its outer reaches, you'll find the nature creeps into Perth instead. Norie Miller Park – This riverside walk is lovely by day, but absolutely magical by night. At various times during the year, they light up the park according to different themes. You can check the Perth website HERE to see what's planned. The Black Watch Castle & Museum – This popular attraction celebrates centuries of history of the famed Black Watch infantry battalion. In addition to historic exhibits, visitors can enjoy research assistance, a gift shop, and a small cafe. The Fergusson Gallery – This small but lovely gallery celebrates the respective works of Scottish painter John Duncan Fergusson and Scottish dancer Margaret Morris. Stanley Mills – This former mill is one of the Industrial Revolution's best-preserved relics, and it remained a working mill until closure in 1989. Now, you can take a high-tech tour to learn more about textiles in Scotland's history, along with the changes that occurred over the 200 years Stanley Mills was open. Elcho Castle – A few miles outside of town, you'll find Elcho Castle, a 16th-century tower house built along the banks of the River Tay. It's one of Scotland's best-preserved tower houses. Huntingtower Castle – James VI was once held captive in this castle for 10 months. 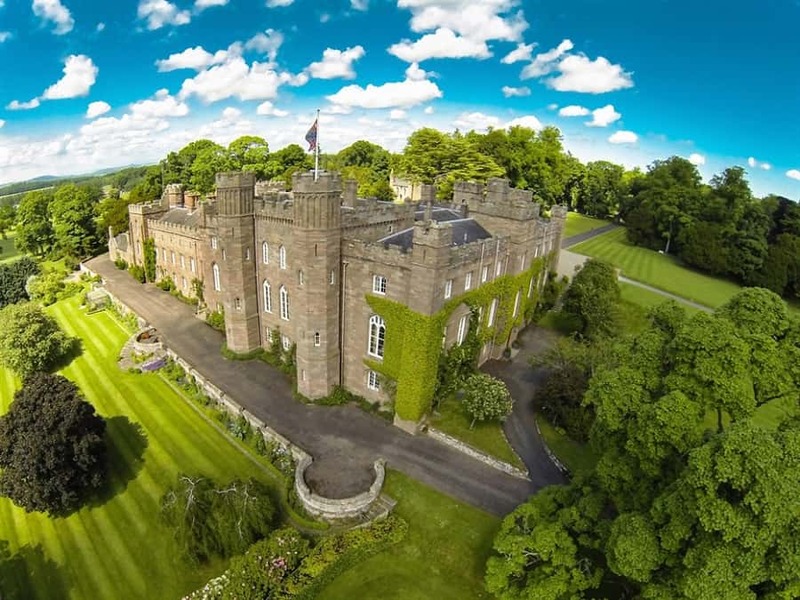 Unlike many historic castles, this one offers ramped access to two ground floor rooms, and the grounds and picnic facilities are also suitable for the mobility-impaired. Upper levels remain inaccessible due to limitations in what can be done with historic buildings. 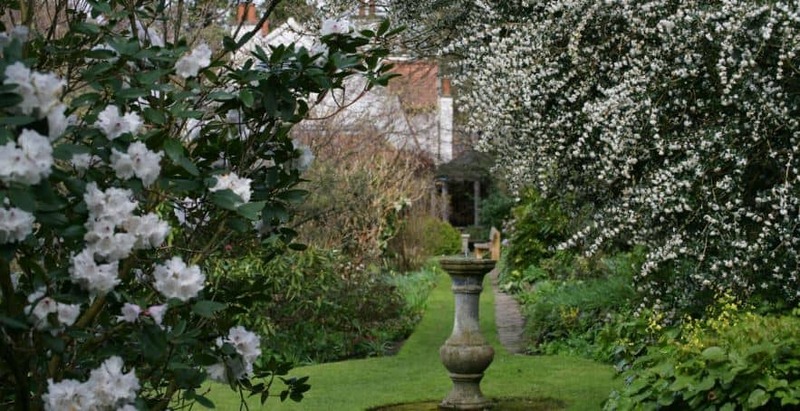 Branklyn Garden – This two-acre hillside garden offers a lovely bit of tranquility within walking distance from the center of Perth. It's a Scottish National Trust attraction, so you can get in free if you're a member. Scone Palace – Just north of central Perth lies this grand estate where many a Scottish king was crowned – including Robert the Bruce. Here, you can tour the stately home, check out a replica of the Stone of Destiny, or even book a room and stay a few nights. The Fair Maid's House – Perth has long been called the “Fair City” thanks to Sir Walter Scott's novel, The Fair Maid of Perth. The Fair Maid's House, however, is a visitor and education centre for The Royal Scottish Geographic Society, and it's a great place to learn a bit about our planet. The Jardine Gallery – Here, you can enjoy some of the UK's finest wildlife artists, along with some from abroad, too. In addition to the shop and gallery, they also have second branch called “The Workshop”, which offers classes, parties, and weekend workshops for those who'd like to explore their artistic sides. Kirk of St. John the Baptist – This church is the oldest building in Perth, dating back to around 1440. However, the current structure is the latest version of a much older building that was there long enough to see the medieval street patterns develop around it. Though it's a working church, visitors are welcomed with open arms, and information sheets are available in 10 languages. Note that you won't be able to just come in and wander around during services, weddings, or other special programs. Look for the west door to be open. Perth is easy to reach by train, with a rail station just a short walk from the city centre. It takes roughly an hour from Glasgow or an hour and a half from Edinburgh. Stirling is the smallest of Scotland's cities, but it's also one of the most stunning and picturesque. Known as the “Gateway to the Highlands”, it's long been a site of both military and historic importance. One need only look up to Stirling Castle to realize that. Stirling is a city that doesn't feel like a city, particularly if you stay in the Top of the Town (the older historic area where most tourists roam). It's damp and moody and all kinds of historic, but you really don't get that urban feel – probably because its population is just 36,000 or so. Once you get away from that area, though, you realize there's quite a bit to Stirling beyond the main tourist areas – like this authentic Scottish restaurant by Clan MacDonald. Okay, I may have been lying about that last bit. It *is* a sprawling small city, though – that much is true. Stirling has recently been called the UK's most affordable city, and it's an easy trip from Edinburgh or Glasgow. I wouldn't characterize Stirling as a city in decline or a place that's up and coming. It just is – and it's breathtaking. 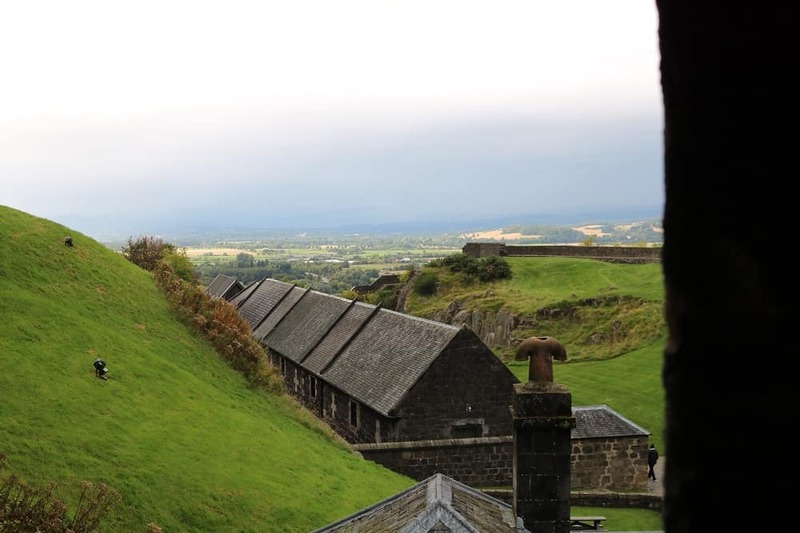 Stirling Castle – Stirling Castle is one of the largest and most historically important castles in Scotland, so it's no surprise that hardly anyone misses this landmark when visiting Stirling. The scale, the history, the views – this is one castle you don't want to miss. The National Wallace Monument – On the shoulder of Abbey Craig, overlooking the city of Stirling, you'll find the Wallace Monument, a 19th century sandstone tower dedicated to 13th century Scottish hero Sir William Wallace. Blair Drummond Safari Park – “Safari” and “Scotland” may not be the most obvious pairing, but this stunning animal reserve allows visitors to view a number of free-roaming exotic creatures. The Safari Park also participates in annual conservation projects and endangered breeding programs to help the wild counterparts of its residents. Stirling Old Town Cemetery – Of this cemetery, William Wordsworth once said, “We know of no sweeter cemetery in all of our wanderings than that of Stirling.” Do you really need to know anything more than that? In the event that you do, check out our video of the cemetery below. While there's no airport in Stirling, it's an easy 35 minute train ride from Glasgow or 50 minutes from Edinburgh. Drive times are similar. Regular bus service run to Stirling from Glasgow and Edinburgh airports, too. Which Scottish Cities Have You Visited? 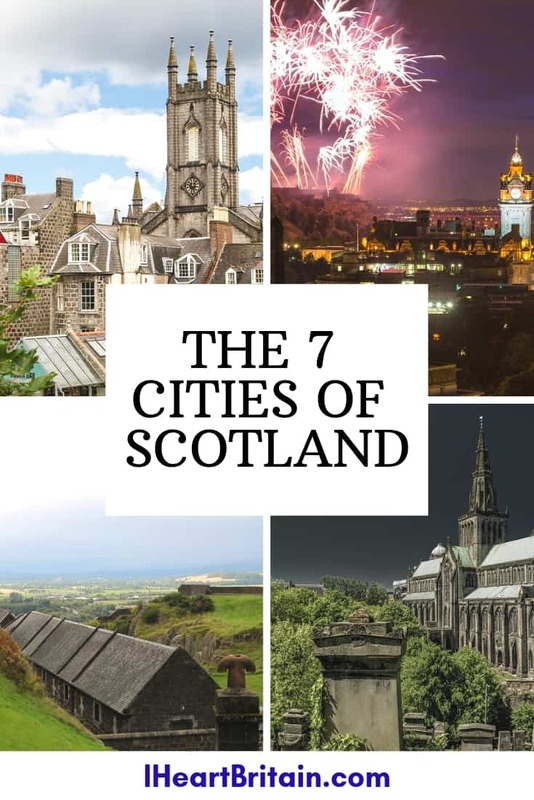 Have you been to all the cities in Scotland? Which was your favourite? Which one would you like to visit next? Let us know in the comments!